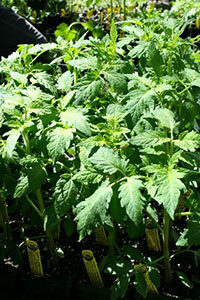 As you anticipate the arrival of spring, remember that you can start many of your favorite warm-weather seeds now. 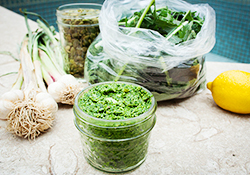 Starting seeds indoors extends the growing season by up to two months by allowing plants that need warm soil and weather, such as tomatoes, peppers, and basil, to safely mature into seedlings that will be ready to transplant as soon as the last frost is over (early March in Central Texas). Growing from seed does not require much time or material, and it is a fantastic way to prep your garden for your favorite summer crops from the warmth of your home. If you have kids, this a great lesson to show the important steps of a plant’s life cycle. As temperatures dip this winter, you’ll want to stay toasty as you venture out to one of our four weekly SFC Farmers' Markets. We have all the tips and tricks of staying warm while you shop, browse, and eat at market; everything from “taco pocket warmers” to something more traditional like a cup of joe. 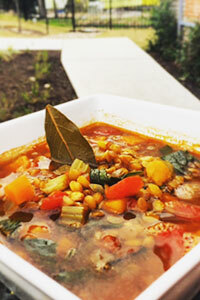 When the winter cold makes us want to eat warm, cozy things indoors, lentil soup is an excellent choice. Lentils make the soup hearty and filling. The spices and flavors in this version, like cinnamon, garlic, and red pepper flakes, make the soup extra warming. The soup is also delicious and it uses lots of seasonal produce, so feel free to whip up a batch on Austin’s 70-degree winter days - as well as the 30-degree ones. 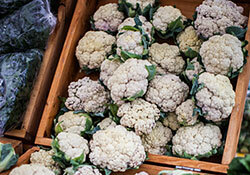 The four weekly SFC Farmers’ Markets are the perfect place to get your weekly grocery shopping done and an excellent opportunity to try new varieties of produce that will delight your taste buds. 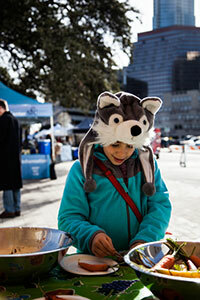 If you’re in the mood for greens this week, look no further then B5 Farm at SFC Farmers’ Market Downtown. 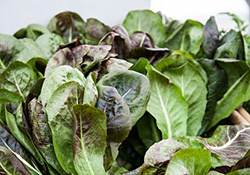 They have an excellent assortment of greens like fresh cut arugula, colorful Swiss chard, and baby mustard greens. 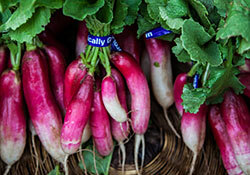 Additionally you can also find two types of radishes, mild white icicle and spicy sparkler. They will also have a limited quantity of cucumbers, tomatoes, green frying tomatoes, and poblano peppers; make B5 Farm your first stop at market before they sell out!